I’m no @realgenekim, but I’ve been a student of the DEVOPS movement for some time and I have always been looking for the cleanest way to articulate its central benefit. I think I have found a perspective that does this for me, which is to say that DEVOPS, beyond anything else, is about benefiting from practice. 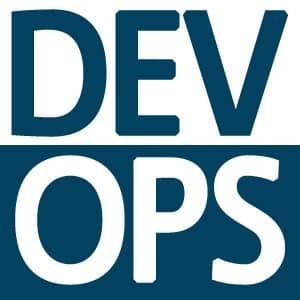 Much of the DEVOPS conversation seems focused on tactical benefits: you get faster deployments, you get better cooperation with OPS, you get higher quality, you can get features out faster, etc. With all of these components and all of these benefits, I think DEVOPS starts meaning different things to different people. That’s why I like focusing on the more fundamental advantage of opportunities to improve. What would happen if you practiced an instrument or a sport, only once, twice, or even 10 times a year? How good could you become? Forget the human limitations of our muscle memories fading, or getting exhausted, and think about the process of improvement. That’s what practice is, and it’s what leads to becoming the best you can be at something. And the more you’re able to do it the better. DEVOPS is not about speed or quality or cooperation. Those are artifacts. They’re prerequisite benefits to the process. What it’s really about is building the maturity in your processes that allows you to continuously practice and improve. And if you get the point where you can do this many times a day, or hour, or even second—well, that’s a lot of improvement. If you have another view of the core spirit and advantage of DEVOPS I’d love to hear it. One thing I particularly love about this is how it brings us back to Kaizen and Lean, i.e. the ideas of continuous testing and improvement.